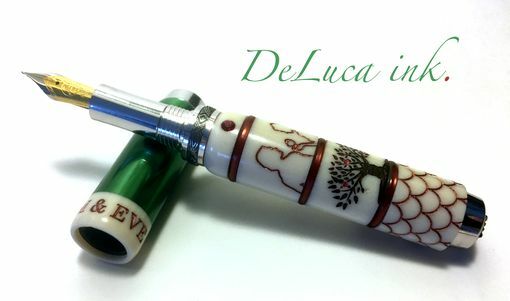 Brand New from DeLuca inc. for 2013. Constructed for International competition, this is by far my favorite writing instrument that I have had the pleasure of designing. 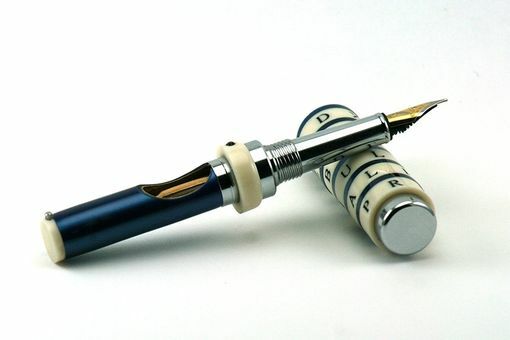 This Cryptex Fountain Pen consist of Metallic Blue Acrylic, and Alternative Ivory. Six free rotating rings have been laser engraved, and color filled, with the special text combination. 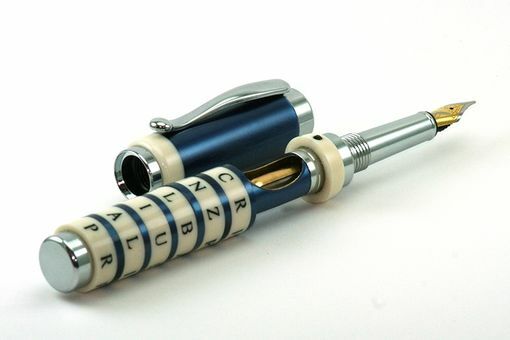 Only when the letters are aligned correctly, the inner body will extend outward reveling a push button filler to refill your writing instrument. A rounded steel key pin smoothly glides through each ring, and locks in at the bottom ring. Chrome Plated materials, featuring a Heritance Fountain pen nib. 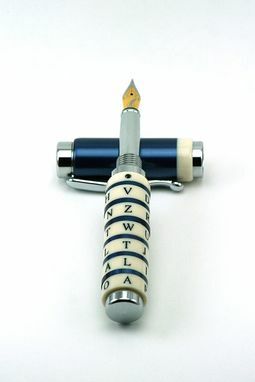 Can be completely customized with materials, and with any letter or number combination. Various Versions Have been made and some are now pictured for ideas.